Elsick’s mature and beautiful garden offers a multitude of possibilities. So close to Aberdeen and with all the space in the world to create your own fantasy, Elsick House is the one place where real privacy can be found and you can remain hidden from the outside to escape the hustle and bustle. A good imagination is not a gift that all of us share so we thought it might be helpful to guide you through some of the ideas we have for a corporate gathering or a family and friends’ celebration. Some are tried and tested ideas and some we know would suit the grounds very well. Join forces with a few friends, raise a plastic glass of prosecco and enjoy the borders and shrubs from a hot tub. These can be hired and fit brilliantly on the top terrace. You can even enjoy this under the garden lighting for a bit of night-time adventure. The setting is so well suited to croquet and other traditional games. There is a house croquet set, and if you order it in advance, a second set could be brought in for racing croquet. Two teams can compete simultaneously, and it is hilarious and easy to adjudicate. The marquee is up during the summer months and has a fully transparent side set slightly above the main wall so no matter what the weather you can enjoy the setting out of any breeze. How about teaching employees a new craft on a team building day? 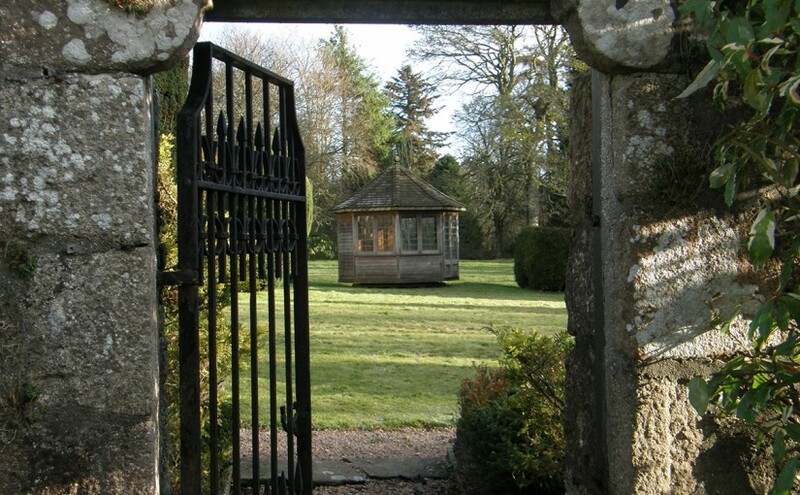 In the centre of this area of the garden sits a revolving summer house to make the most of the south facing lawn. This charming wooden house makes an ideal Pimm’s bar for summer drinks or serving area for a BBQ and there are plenty of outdoor tables and chairs for a real party. Or you could pop in a central table and let your executive team do a bit of blue sky thinking. A long straight area on the estate is the ideal spot for full length archery although there are several places for a more modest competition. Otherwise a treasure hunt for all ages can be organised through the woods and garden focusing on the amazing wildlife on display here. The Lochter Activity centre has great equipment that they can bring to the estate and can work with all sorts of client requirements so take a look. A little off-road karting or driving will set the heart racing and the competitive juices flowing and these can be done within team events. If you prefer your feet firmly on the ground there is a 5km circular trail that you can pick up just on the edge of the garden. Let your imagination run wild and remember our experienced team can help to guide you as to what will work. Contact Alison to get more details.